Due to a very large Waiting List we are not accepting any further enquiries for Stall space for 2019. Please do not email / phone to enquire about Stalls. Please look on www.shga.co.uk for a report on 2018 Games by Shane Fenton. Thanks to all who have written and emailed to say how much they enjoyed 2018 Games. Overseas Tent for visitors to drop in for glass of wine and some light food. Plenty of foodstalls around the Arena. 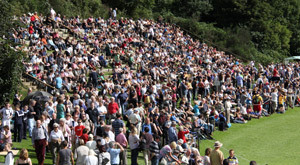 Pipe Bands - Parade down Atholl Road from 11.45 hrs and their Competition starts at 1.00 pm (around 17 Bands). 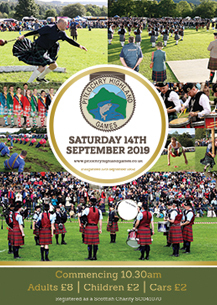 Pitlochry Highland Games has been hosting competitors and enthralling spectators since 1852.